← First coffees in the blog era! 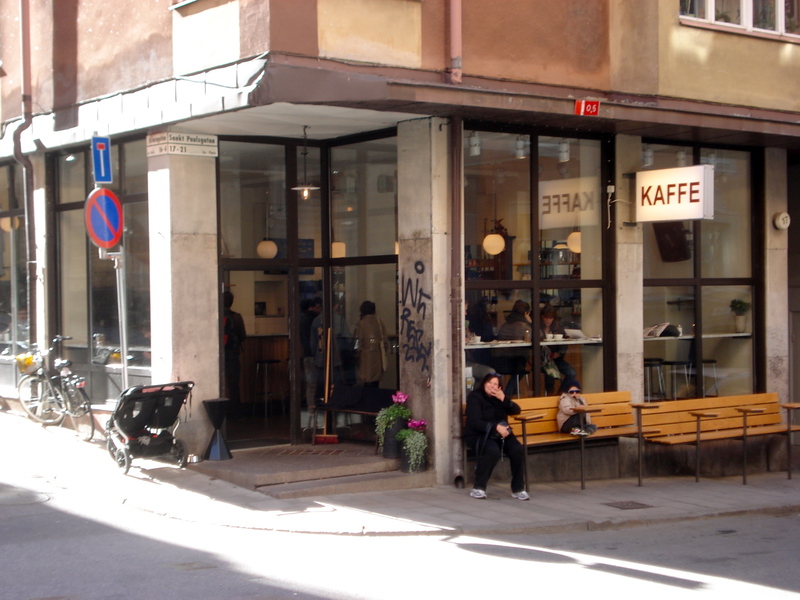 Kaffe – It will be hard not to come back every Saturday morning. 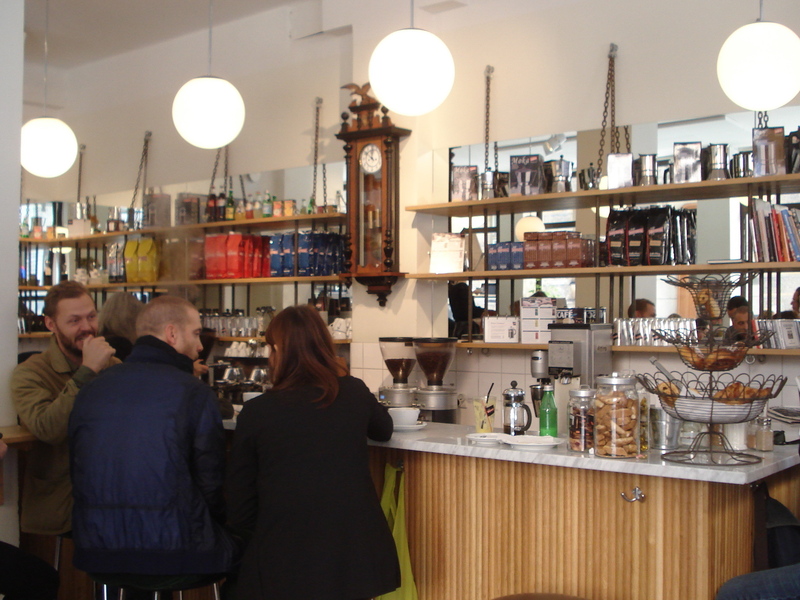 The best coffe shops are usually those you were not expecting! On my way to Götgatan, I was walking on Sankt Paulsgatan when I saw Kaffe. I loved it immediately. So simple yet so nice. I felt at home there, even though I was probably the only one who did not live on that street! Even the music in the background was perfect, the kind of mellow music one needs on a Saturday morning. Oh, and Kaffe has wifi! Unexpected here where most coffee shops do not offer wifi. Usually I am not a big fan of kids in coffee shops but here it felt natural. I’m happy to be in Stockholm this morning, and it has nothing to do with the girl who just walked by the window …. This entry was posted in Coffee and tagged Coffee, wifi. Bookmark the permalink.